Congrats. to Charlie Kelly on our recent sale and closing of his Raspberry Mtn. Ranch parcel. Right on cue, our weather report for the week shows light snow showers tonight and daytime temps. in the low 50s all week. Warming by this weekend for the Celtic concerts. Early morning coffee on my front porch listening to the elk bulls bugle. It doesn’t get any better than this. The elk are beginning to call out their challenges and to gather up some cows. We have lots of great hunting property available right now too. Most border U.S. Forest or BLM. Check out my website and type “hunting” in the Keyword search query box. Comments Off on Got Elk ? Yesterday saw another September Soaker here in the valley. Gentle steady rains all day left more than an inch over most of the area. Up high, the aspens are just beginning to show some light change in color and lower elevation oaks are turning as well. Pending home sales jumped again. They were up by 3.2 percent for the month of July, according to the National Association of Realtors. That’s the sixth straight month of increases. The pending sales index is now at its highest level since June of 2007, and is 12 percent above a year ago. Record low mortgage rates around 5.2% seem to be contributing to the rebound. County Commissioners have approved 3 new cell towers for Viaero Wireless. The towers will provide service for AT&T and T-Mobile. One will be north of La Veta Airport, one west of Walsenburg off Hwy. 69 and one on top of La Veta Pass south of Hwy.160. According to Commissioner Cain, nine Counties in Eastern Colorado have been using Viaero and the new towers will enable significant phone coverage to the northwest section of Huerfano County. 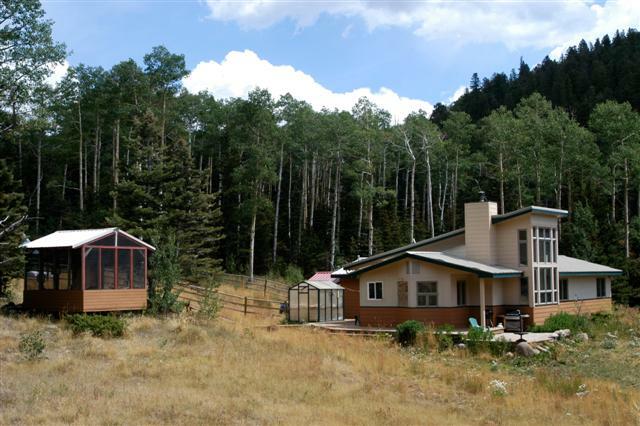 Just Listed – A great mountain retreat in Cuchara Pass Ranch. Beautiful setting, pond, creeks, for $393,500. A really good value.